Traditional Portuguese and reassuringly old-fashioned - dark wood, wall tiles, white tablecloths, large and open-plan. You get the picture. Surprisingly informal, despite the decor, as it’s the sort of place that’s popular with locals and regulars who come from further afield to enjoy good food and good company. If it seems a little quiet when you first go in, it won’t be for long. 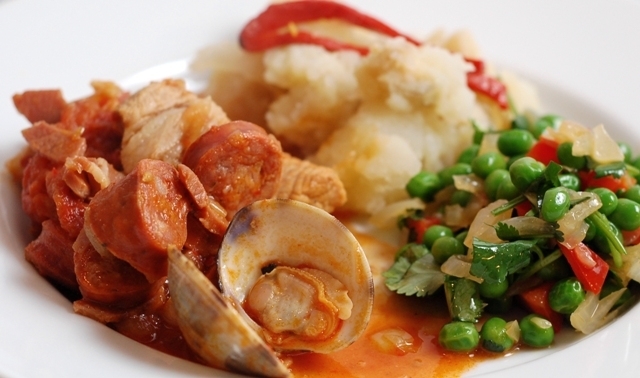 Fresh fish and seafood, and good, hearty Portuguese rural dishes. Specialities include cockles; clams; grilled grouper, sea bass and tuna; bacalhau; cuttlefish; chicken, seafood and fish cataplana; rabbit; partridge; boar; hare; pork tenderloin with clams or cockles; stuffed squid; leg of lamb in the oven (at weekends). Traditional cakes and desserts. Good selection of Portuguese wines. An institution, and deservedly popular. It’s VERY Portuguese but don’t be put off if you are an expat or holidaymaker. You’ll find the waiters are happy to speak English if you start with a few Portuguese pleasantries. They haven’t moved into the website/email era, so make a reservation by phone if you want to be certain of a table. However, it’s a large restaurant, so you’re fairly sure of getting in unless it’s the weekend or a public holiday, when they are particularly busy. In the centre of the small village of Pechāo, on the outskirts of Olhāo. Follow the signs for Pechāo off the EN-125, then the local restaurant signs. Ample parking. Address: Belmonte de Cima, Pechão, 8700-174. Around €40 for two people (couvert, main course and a good bottle of wine). 12-3pm for lunch, 7-11pm for dinner (except Sunday evening). Closed Wednesdays. Brief winter break in late February/early March.